As a drone pilot, sometimes you get a little bit or more adventurous and take your drone flying out on a sea or lake. It is quite normal to get a jittery heart when you go on such adventures. Your heart gets shaky and you get scared. It is quite possible too that your drone might crash, and in most cases, when that happens, what you do is go back to your car without your drone. Drone flyaways and crashes have long been an issue for drone users. 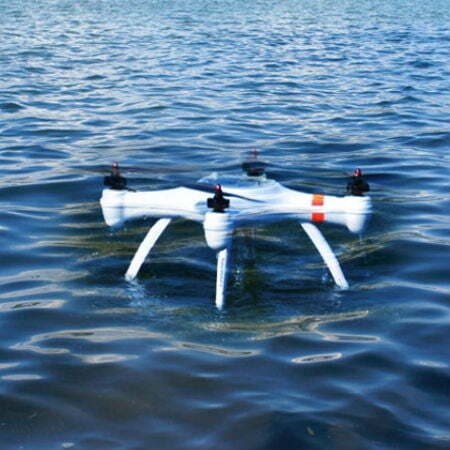 In other cases, the drone does not get lost, but it lands in a body of water and ends up drowning. In the even that this happens, the worst thing you could do is to plunge into the ocean to retrieve a drone that is probably sinking faster than the Titanic. This can make for a very sad outcome because you end up leaving it behind. But recently, an Indiana startup has offered a solution: a flotation system for drone. 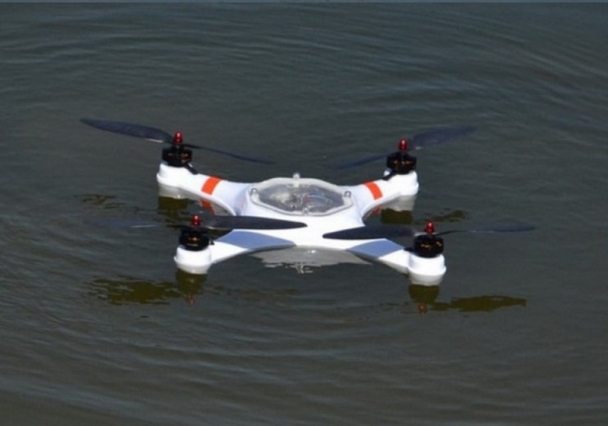 How Can Drones Land on Water? For the sake of peace of mind and saving of our drones and to also enable safe landings of our drones, Indiana-based DroneRafts has devised a means called the WaterStrider, a lightweight flotation device especially designed for the DJI Phantom 3 machine (though more DJI copters may be included soon.) This new flotation system for drone will go a long way in making sure your device can land on its feet and float on water. The device is named after the water insect that has the ability to walk on water, and it weighs 300 grams and is made with a frame that has buoyant landing pods at the end of its four splayed legs. When you try to see the difference between the WaterStrider and the Phantom’s not-so-large landing gear, you will see how much help it would be in helping your aircraft with better touchdowns on very rugged terrains or even sudden landing on any kind of surface. The additional weight might be the reason for the slow speed your machine is going or why it is unstable in windy conditions, but as long as going at very high speed isn’t top priority, in good conditions suitable for flying, the WaterStrider will be a reliable option to settle for in cases like flying over water bodies or if you have the intentions to land on very rough grounds. It is also possible for you to be out with your drone doing a shoot of your gorgeous environment or beautiful footage of nature—without one of those bulbous pods to appear in shot. According to DroneRafts, this is likely to only happen in “particularly aggressive maneuvers,” so you shouldn’t have any issues and also have pod-free shots as long as you’re a smooth operator with a steady hand. The WaterStrider is looking to raise funds on Kickstarter, and if you desire one of those kits, you would have to pledge $179, which is cheaper than the expected retail price by $60. If in the next 30 days, the goal of raising $22,500 is achieved, global shipping would commence this summer.